Capital of Emilia Romagna, arguably the most civilised region of Italy, Bologna is renowned for its university, its cuisine and its traditional left-wing stance. The ultimate foodie destination, Bologna is also famous for its beautifully preserved historic centre, rich with exquisite palaces and mighty towers. Berlitz Pocket Guide Bologna is a brand-new, concise, full-colour travel guide that combines lively text with vivid photography to highlight the best that the city has to offer. Where To Go details all the key sights in the city, while handy maps on the cover flaps help you find your way around, and are cross-referenced to the text. Perfect Day provides an itinerary of the city. What To Do is a snapshot of ways to spend your spare time, from browsing the innumerable pasta and fine food shops to catching a music recital in the most splendid venues. 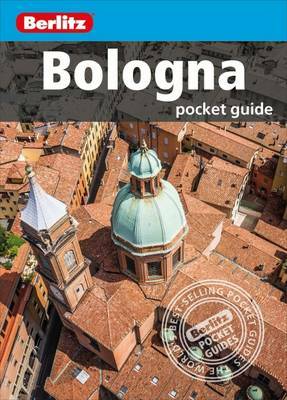 Essential information on Bologna's culture, including a brief history of the city. Eating Out covers the city's world-famous cuisine.